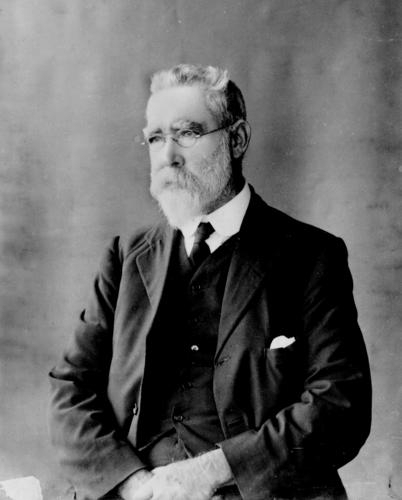 Mr George Kerr bought a selection of 1,280 acres at Geraldton (Innisfail) called ‘Cessford’ in 1886 with a fair amount of capital he started with and had fifteen acres under cultivation with some of the tropical fruits that grew well in the district - oranges trees, bananas and several kinds of fruit trees, with various success with the different kinds. He was a practical farmer who had been brought up on a farm in the old country and had a cattle station. He had been working on the lower Dawson before coming to this district. His selection was originally taken up by Mr Daniel Dupont as he had bought a selection from Mr Kerr in Cairns, who then went on as his bailiff, made all the improvements out of his own pocket and took the selection off his hands, with the Government consenting to the transfer. Mr Dupont had taken the land up under the ‘Crown Lands Alienation Act 1874” but had it transferred under the 1884 Act just before Mr Kerr came to terms with him. In making the improvements he empolyed both European and aboriginal labourers. He let a contract for felling scrub to four Europeans who felled fifteen acres at 4l. 10s. 0d. when labor was very dear. He burnt off part of it himself, and let a contract to Chinamen to burn off the remainder. He also tried maize and the English potatoes. The latter grew very fairly in certain seasons but the maize did not do well at all and was a failure. He tried cane as well and it grew a very good crop. Every year the district became healthier for the Europeans, as clearing was extended but there was a great deal of sickness and they principally suffered from malarial fever. But 1886 had a very bad type of fever. The Javanese, Japanese and Chinese who came into the colony were extremely subject to small-pox and there were calls for them to be re-vaccinated before they were allowed in, as was practiced in Honolulu, as if it got a footing it would have been a very serious thing. In 1888 Mr Kerr at Geraldton (Innisfail) had only one kanaka employed on his selection, and the use of aboriginal labour, as he could always have a few boys when he wanted them. But he was not yet able to make a living on the land and believed that if there was a mill on the same side of the river as his property then he would grow cane for it and do very well, but not with European labour. To be profitable for growing cane kanaka labour was about as suitable as any labour they could have. To make a living for the past two years, when he had been unable to keep himself, he had to go in for contracts, with a partner, for clearing the undergrowth off the telegraph line to Cardwell, through a good few miles of dense scrub and the mostly open forest country favoured by the Government surveyors. He was a contractor with his partner, Peter Forbes, at Goondi and used aboriginal labour, over seventy, who worked satisfactorily, but he was unable to make a profit only bare wages, and sometimes not even that. The aboriginals were recompensed with food and tobacco and he paid them about 1s. a week. But he could not rely on them as they would go away at a moment’s notice, and if they wanted to go away it was no use trying to keep them. The contracts he undertook were for weeding and cane cutting. But Mr Kerr would not undertake to carry on his agricultural farm in the way he was doing with European labour, even if it could be obtained, unless it was very much cheaper than it ever had been. He felt a certain portion of the work could be done by European labour, but not exclusively, and did not think a European labourer could work with a hoe. The Chinese did a lot of that sort of work and did it for considerably under one pound – 16s or 17s. a week and found. He felt that the summer climate was suitable for Europeans but only for certain types of work, not the type of work the kanakas did. He had never known Europeans refuse to weed, trash or cut cane, as he had never employed them at that type of work but could not see that it would pay anybody to employ them. Even he would not work at hoeing or anything else like that in the field amongst the cane. He said it was not so bad felling scrub in the open, but he would not work in the cane field. There were three other men in the district who also used aboriginal labour, having between seventy and eighty on Goondi Plantation, working for the sugar company. In all, there might have been 200 actually at work, counting boys, gins and pickanninies – all doing their little bit. Mr Kerr’s fifteen acres was cleared well with a good many of the stumps being out. He thought he would have had a good crop of bananas this year but was unable to sell very little off his selection as the grub attacked the bananas very badly and they came to nothing. Labour, he believed, was the principle drawback to carrying on tropical agriculture in the district as reliable labour could not be had. The cheapest labour, if it was not reliable, was not cheap. Generally selectors wished to have kanaka labour. Some men when they first came into the district were in favour of employing nothing but European labour. They were working men, and, after a year or two’s residence, they became convinced that the sugar industry could not be carried on by European labour. Kanakas were considered the best of the different classes of labour to be seen employed in the district. Mr Kerr’s land was rather far back from the Johnstone River and was never cultivated by Chinese as they liked to be near a river. Some Chinamen looked at it once or twice, but being one and a-half miles from the river it was too far for them. The want of capital was the other drawback to carrying on tropical agriculture as there didn’t seem to be any capital in the district to speak of, unless it was that of the Colonial Sugar Company. The cost to clear land - to fell, burn off and clear - was about seven to eight pounds an acre, although a year or two previous it was a good deal more. To stump the new land immediately after burning and falling could not be done for less than thirty pounds an acre but if left five or six years it could be done for a trifle, about six pounds an acre. Even if Mr Kerr had sufficient kanaka labour he was not be prepared to go into extensive cultivation until there was a mill. There was very little fever this year and the white selectors’ health had been better during the past two years than it used to be. It was a healthy district for Europeans after they got acclimatized. For two or three years they were liable to fever, but after they got over that they were healthy enough. There was any number of new chum emigrants employed who stood the climate very well. There were a number employed at Goondi Plantation all through the crushing, with a good many still there, but any complaints were mostly of the heat. They were employed both in the field and in the mill, drawing in trucks, laying rail, and such work as that. They were never seen weeding or hoeing. Dr. Thomas Lane Bancroft gained international fame for his scientific research, especially In relation to ceratodus (Queensland lung fish). Dr. Bancroft, who was 73 years of age, was a son of the late Dr. Joseph Ban- croft, a co-discoverer of the cause of filarlasis. He was well known as a medical naturalist. 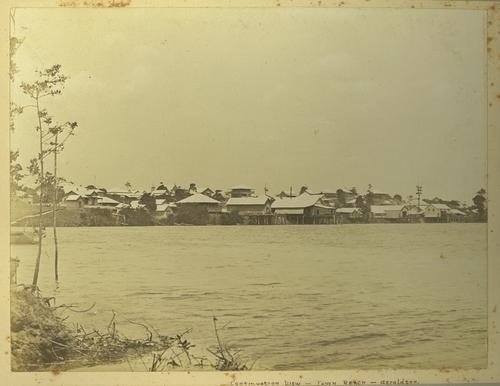 Thomas was born on the 2 January 1860 and came to Brisbane with his parents and sister in 1864. After graduating from Edinburgh University in 1883 he practised in Ann Street, Brisbane, from 1889 to 1894. Thomas Bancroft served as a quarantine officer for the port of Brisbane, government medical officer in 1908 and medical officer on Palm Island in 1930. He undertook many other investigations ranging from blood parasites of birds to Aboriginal food-plants and hybridization of cotton. Absorbed in natural history he made an indirect contribution to knowledge over a wider field on which he published eighty-four papers. He died on the 12 November, 1933 (Information taken from Australian Dictionary of Biography, v.7, 1992). Mr Kerr’s selection was virtually an agricultural farm under the 1884 Act and his coffee trees were all bearing and had not suffered at all from leaf disease, except scale which was in a few of them. The citron and orange trees grew near the coffee, and the ants carried the scale from them and he only topped the trees to keep them under. He believed that it would only pay to grow coffee with white labour, taking into consideration the pruning and picking, if the land were stumped and cleared of roots, where a horse hoe could be used. But coffee trees did not cover the ground like cane, and the weeds came up very strong, requiring more labour to keep the land clear under coffee than under cane. The horse wa be able to get into the plantation when the plants were sufficiently far apart and Mr Kerr had planted his 15 feet apart. Outside of cane-growing there were several tropical products he thought would do very well in the district but there was no market for them. There was Chinese fibre grass, coffee and rice, which he had grown a fine crop of about a quarter acre that year. He also tried tobacco which grew wonderfully but it was a weed to him and he had a lot of trouble in keeping it off the land. The plant made a good leaf if it was attended to and he had had leaves eighteen inches long, from self-sown plants. Most of the land was taken up by people who were speculating on the sugar industry and the land was still unavailable, with no capital coming in to open up the country. If capital were introduced into the district many industries would flourish. The unoccupied selections were a hindrance to the prosperity of the district. At this time, if sufficient inducement were offered in the shape of the growing of cane a central mill would be started in the area. Even if the land was leased to growers at 5s. an acre per annum for ten or twenty years it was still a very difficult question to answer if the growers could be gotten to grow cane. The price would have to have been 11s. a ton to cut and deliver cane for growers to undertake the project. Even though many products could be grown and there was a splendid market and great demand, the producer never got any value for his products. If a first-class institution such as a botanical station or experimental farm were established somewhere in this or the Cairns district, where tropical plants could be grown, and information given to farmers and settlers as to what were the best plants to grow and how to grow them, it would cause land to be more opened up than they were at that stage. Mr Kerr would have availed himself of an opportunity of that kind but there were very few who took any interest in agriculture in the district. There were only two or three selectors on the river who ever took up land with an intention of making a profit out of it by farming or fruit growing. Mr Kerr believed that with aboriginal and kanaka labour he could grow coffee and make it pay. Also that a family could make it pay, as twenty or thirty acres was sufficient for any man, with the land equal to three times the amount of ground in other districts. But there was no agricultural land available excepting that far back and up the river, as all the best available land, having water frontages, had already been selected or otherwise was inaccessible. There were no small selections on the river as they were all 1,280 acre selections and where there were roads they were too bad and there was only scrub further back.